The real danger of yoga! The Vatican’s top exorcist has spoken out in condemnation of yoga … , branding [it] as “Satanic” acts that lead[s] to “demonic possession”. Father Cesare Truqui has warned that the Catholic Church has seen a recent spike in worldwide reports of people becoming possessed by demons and that the reason for the sudden uptick is the rise in popularity of pastimes such as watching Harry Potter movies and practicing Vinyasa. Is yoga about worshiping Hindu gods, or is it about engaging in advanced stretching and exercise? At its roots, yoga is said to have originated from the ancient worship of Hindu gods, with the various poses representing unique forms of paying homage to these entities. From this, other religions such as Catholicism and Christianity have concluded that the practice is out of sync with their own and that it may result in demonic spirits entering a person’s body. Just one thought, if I may: according to Father Truqui, the most satanic man must be a ‘perverted’ catholic priest practising Yoga and reading Harry Potter! Did you know that chiropractic is a religion? Well, not quite but almost. DD Palmer seriously toyed with the idea of turning chiropractic into a religion. In the absence of evidence, belief is everything. And this is why, to this day, so many chiropractors bank (a most appropriate term in this context!) on belief rather than evidence. Look, for instance at this lovely advertisement I found on Twitter (there are many more, but this one has to stand for the many). 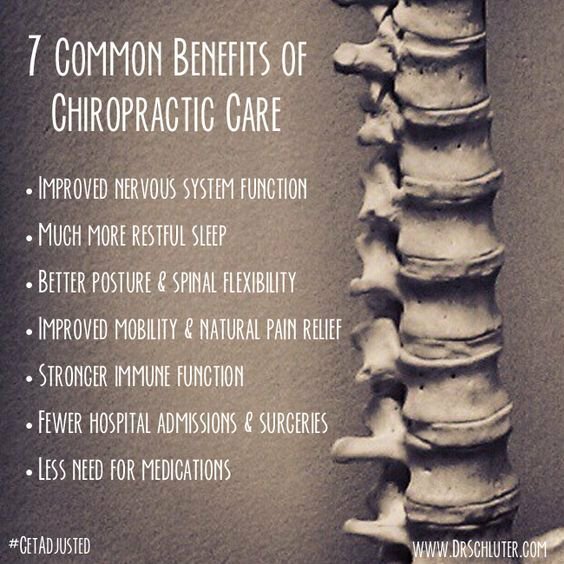 Seven common benefits of chiropractic care!?! You may be surprised to find that chiropractic can do a great deal to alleviate some allergies. Allergies are very common and we become so used to their effect on us that we tend to ignore their symptoms. And many people are unaware of the gradual decline in health that results. Chiropractic treatment didn’t necessarily set out specifically to provide care for allergies, but due to the nature of the chiropractic care and its effect on the nervous system, it has been shown to help. If we look at some of the common signs of allergies we find that they include some unexpected examples. Not only do we find the usual ones – asthma, sinus congestion, sneezing, itchy eyes, skin rashes and running nose – but also weight gain, Acne and even fluid retention and heartburn. Many people approach the problem of allergies as though all allergens affect everyone in the same way; this is not the case. Because we are individuals, different allergens affect each of us in differing ways. Some allergens affect some and not others. Consequently treating the condition must be approached on this basis of individuality. It may not be the pet fur or dried saliva that is kicked up as your pooch washes and scratches; it may also not be the pollen, grass dust or other one of the many irritants in the air at any one time. It could be that due to a misalignment of the spine (or subluxation), mild though it may be, the nervous system is finding it difficult to help the body adapt to its surroundings and is therefore unable to deal with the necessary adjustments. As an individual you need to treat your body’s physical and nervous system as such. You could be, without even being aware of it, in a generally stressed condition – this may be through lack of sleep, poor nutrition or any one of a combination of the many other stressors affecting us daily. Suddenly you find that with the first spring pollen dust that comes along you begin to wheeze and sneeze! You may not have previously connected chiropractors and allergies but, for you or someone you know, the connection could help. Schluter Chiropractic works on the principle of reducing interference so the nervous system and body can work better. Providing that any symptom or condition (including pain) is occurring as a result of nerve interference from vertebral subluxation, there is a very good chance that it will improve with chiropractic care. Like most chiros, ‘Dr’ Schulter seems to be a true miracle-worker; and because he can do miracles, he does not need to be rational or concerned about evidence or worried about telling the truth. For Christ sake, it’s Easter! We ought to show a bit of belief!!! Because without it, the benefits of chiropractic would be just an illusion. and with practicing medicine without a license. Morrow stated that god had guided him to use herbs rather than conventional medicine and that he successfully treated treat his own prostate cancer in this way. Marrow can be seen on multiple YouTube videos from his ‘University of Common Sense’ promoting his bizarre ideas of health and disease. Perhaps god also guided Marrow to make lots of money? He runs regular seminars and a thriving herbal on-line business, the ‘Common Sense Herbal Products‘. There are few ailments, for which ‘Common Sense Herbal Products’ do not seem to offer a herbal cure. 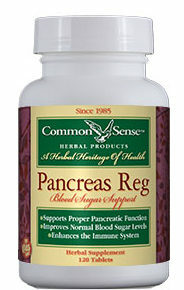 One of the remedies, ‘Pancreas Reg‘, for instance, claims to “act as natural insulin”. The 270 Tablets tub of this product costs US $74.22. It is easy to see, I find, how bold claims attract gullible customers depriving them not just of their money but also of their health. Morrow started treating the boy suffering from Type 1 diabetes after he met his mother at one of his seminars. When the boy subsequently became semi-comatose, Morrow told his parents to treat their son with his herbal remedies rather than insulin which had been prescribed by qualified medical doctors. The boy, Edgar L., died only hours later. There is little doubt that he would have survived, if he had undergone conventional treatment, the medical examiner concluded. On this blog, during lectures etc., I often stress that by far the biggest danger of seemingly harmless alternative therapies is that they are used to replace effective treatments for serious conditions. Diabetes is such a condition, and there are numerous instances where the advice of incompetent practitioners has endangered the lives of diabetics. But these are very rare instances!!! That’s what apologists usually respond. Yet, the truth is that NOBODY knows how often such harm occurs. There is no monitoring system anywhere that would provide such information. We have discussed the NHMRC report on homeopathy several times – see, for instance, here, here and here. Perhaps understandably, homeopaths have great difficulties accepting its negative findings, and have complained about it ever since it was published. Now, a very detailed and well-researched analysis has become available of both the report and its criticism. Here I take the liberty to copy and (clumsily) translate its conclusions; if you can read German, I highly recommend studying the full document. The criticism of the NHMRC review is very voluminous and highlights many different aspects of the background, the methodology, the execution and the unwanted results from a homeopathic perspective. The very engaging discussions in the general public about this document and its flaws are, however, relatively meaningless: the NHMRC arrives at exactly the same conclusions as the employee of the Homeopathic Research Institute (HRI), Mathie, in his reviews of 2014 and 2017. In both reviews, Mathie evaluated a total of 107 primary studies and found only 2 trials that could be rated as qualitatively good, that is to say constituting reliable evidence. Mathie did upgrade 2 further studies to the category of reliable evidence, however, this was in violation of the procedures proscribed in the study protocol. The criticism of the NHMRC review was not able to make a single valid rebuttal. No condition could be identified for which homeopathy is clearly superior to placebo. This is all the more important, as Mathie avoided the mistakes that constituted the most prominent alleged criticisms of the NHMRC report. Since Mathie and most of his co-authors are affiliated with organisations of homeopathy, an anti-homeopathy bias can be excluded. Mathie conducted classic reviews and even differentiated between individualised and non-individualised homeopathy. 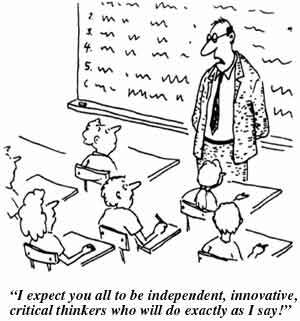 Mathie did not exclude studies below a certain sample size. Yet, in both reviews, he draws the same conclusion. In view of the truly independent replications of an employee of the HRI, we can be sure that there are, in fact, no solid proofs for the effectiveness of homeopathy. The claim of a strong efficacy, equivalent to conventional medicines, that is made by homeopathy’s advocates is therefore not true. Insgesamt hat Mathie in beiden Reviews 107 Einzelstudien untersucht und fand nur zwei Studien, die als qualitativ gut („low risk of bias“), also als zuverlässige Evidenz betrachtet werden können. Mathie hat zwar vier weitere Studien zur zuverlässigen Evidenz aufgewertet, was allerdings im Widerspruch zu den üblichen Vorgehensweisen steht und im Studienprotokoll nicht vorgesehen war. Als Mitarbeiter des HRI und mit Autoren, die überwiegend für Homöopathie-affine Organisationen arbeiten, ist eine Voreingenommenheit gegen die Homöopathie auszuschließen. Mathie hat klassische Reviews ausgeführt, sogar getrennt zwischen einzelnen Ausprägungen (individualisierte Homöopathie und nicht-individualisierte Homöopathie). Mathie hat keine Größenbeschränkung der Studien berücksichtigt. Er kommt aber dennoch zweimal zum gleichen Ergebnis wie das NHMRC. Angesichts der wirklich als unabhängig anzusehenden Bestätigung der Ergebnisse des NHMRC durch einen Mitarbeiter des Homeopathy Research Institute kann man sicher davon ausgehen, dass es tatsächlich keine belastbaren Wirkungsnachweise für die Homöopathie gibt und dass die von ihren Anhängern behauptete starke, der konventionellen Medizin gleichwertige oder gar überlegene Wirksamkeit der Homöopathie nicht gegeben ist. I do apologise for my clumsy translation and once again encourage those who can to study the detailed original in full. My conclusion of this (and indeed of virtually all criticism of homeopathy) is that homeopaths are just as unable to accept criticism as an evangelic believer is going to accept any rational argument against his belief. In other words, regardless of how convincing the evidence, homeopaths will always dismiss it – or, to put it in a nutshell: HOMEOPATHY IS A CULT. Lynne McTaggart and world peace – something to worry about!!! Yesterday, I received this email from my favourite source of misleading information. I must admit that I have been worried about world peace in recent months. One lunatic with nuclear power is enough to scare any rational thinker – but it seems, we currently have two! After reading about Lynne’s experiment, I am not less but more worried. Because, as far as I can see, she always gets things badly wrong. Is God an alternative to healthcare? In the US, some right-wing politicians might answer this question in the affirmative, having suggested that American citizens don’t really need healthcare, if only they believed stronger in God. Here in the UK, some right-wing MPs are not that far from such an attitude, it seems. The ASA said such claims were misleading and could discourage people from seeking essential medical treatment. ‘Indisputable’ evidence that something is ineffective is usually not obtainable in science. In healthcare it is also not relevant, because we try to employ treatments that are proven to work and avoid those for which this is not the case. It is common sense that those who make a claim must also prove it to be true; those who doubt it need not prove that it is untrue. Chronic pain disappearing spontaneously is not uncommon. The plural of anecdote is anecdotes, not evidence! Personally, I find it worrying that a man with such views sits in parliament and exerts influence over me and our country. Prayer as a medical therapy? Time to stop this nonsense! Can intercessory prayer improve the symptoms of sick people? Why should it? It’s utterly implausible! Because the clinical evidence says so? No, the current Cochrane review concluded that [the] findings are equivocal and, although some of the results of individual studies suggest a positive effect of intercessory prayer, the majority do not and the evidence does not support a recommendation either in favour or against the use of intercessory prayer. We are not convinced that further trials of this intervention should be undertaken and would prefer to see any resources available for such a trial used to investigate other questions in health care. Yet, not all seem to agree with this; and some even continue to investigate prayer as a medical therpy. For this new study (published in EBCAM), the Iranian investigators randomly assigned 92 patients in 2 groups to receive either 40 mg of propranolol twice a day for 2 month (group “A”) or 40 mg of propranolol twice a day for 2 months with prayer (group “B”). At the beginning of study and 3 months after intervention, patients’ pain was measured using the visual analogue scale. All patients who participate in present study were Muslim. At the beginning of study and before intervention, the mean score of pain in patients in groups A and B were 5.7 ± 1.6 and 6.5 ± 1.9, respectively. According to results of independent t test, mean score of pain intensity at the beginning of study were similar between patients in 2 groups (P > .05). Three month after intervention, mean score of pain intensity decreased in patients in both groups. At this time, the mean scores of pain intensity were 5.4 ± 1.1 and 4.2 ± 2.3 in patients in groups A and B, respectively. This difference between groups was statistically significant (P < .001). The above figure shows the pain score in patients before and after the intervention. The authors concluded that the present study revealed that prayer can be used as a nonpharmacologic pain coping strategy in addition to pharmacologic intervention for this group of patients. Intercessory prayer is the act of praying on behalf of others. This mans that the patients receiving prayer might have been unaware of being ‘treated’. In this case, the patients could have been adequately blinded. But this is not made clear in the article. and poor studies often generate false-positive findings. In 2008, I published a paper entitled ‘CHIROPRACTIC, A CRITICAL EVALUATION’ where I reviewed most aspects of this subject, including the historical context. Here is the passage about the history of chiropractic. I believe it is relevant to much of the current discussions about the value or otherwise of chiropractic. The history of chiropractic is “rooted in quasi-mystical concepts.” Bone-setters of various types are part of the folk medicine of most cultures, and bone-setting also formed the basis on which chiropractic developed. The “innate” is said to regulate all body functions but, in the presence of “vertebral subluxation,” it cannot function adequately. Chiropractors therefore developed spinal manipulations to correct such subluxations, which, in their view, block the flow of the “innate.” Chiropractic is “a system of healing based on the premise that the body requires unobstructed flow through the nervous system of innate intelligence.” Anyone who did not believe in the “innate” or in “subluxations” was said to have no legitimate role in chiropractic. Rather than arguing over issues such as efficacy, education, or professional authority, the American Medical Association insisted that all competent health care providers must have adequate knowledge of the essential subjects such as anatomy, physiology, pathology, chemistry, and bacteriology. By that token, the American Medical Association claimed, chiropractors were not fit for practice. Some “martyrs,” including D.D. Palmer himself, went to jail for practicing medicine without a licence. These victories came at the price of “taming” and “medicalizing” chiropractic. In turn, this formed the basis of a conflict within the chiropractic profession – the dispute between “mixers” and “straights” – a conflict which continues to the present day.